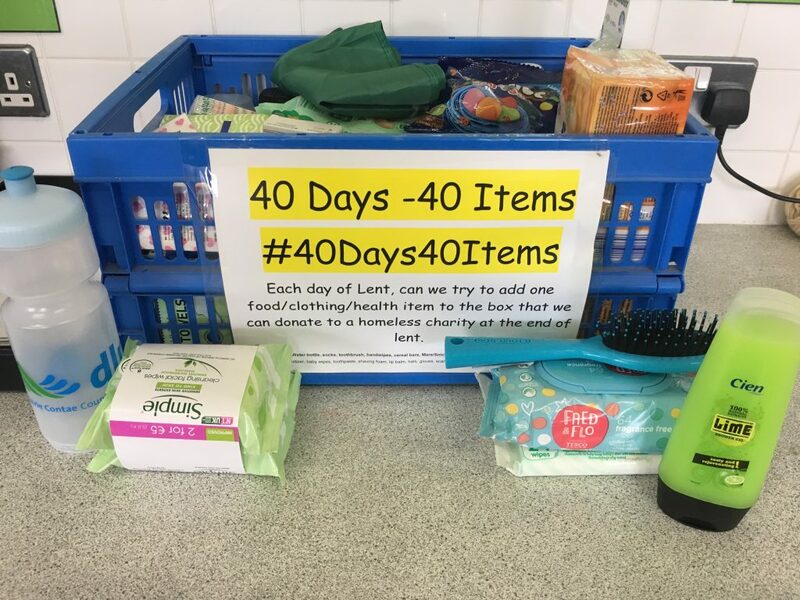 6th Class have spent the duration of Lent collecting basic, useful household items to donate to a homeless charity. Our aim was to collect 40 items and we managed to collect double that amount of items. We have contacted some local charities who may need our care package. Well done to all for their thoughtfulness and generosity.